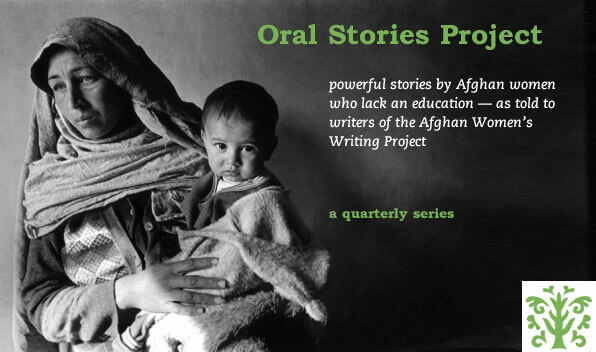 Editor’s note: AWWP writers in Afghanistan have begun collecting oral stories from women in Afghanistan, in particular women who are illiterate and cannot write their stories themselves. The women’s stories are recorded, transcribed, and translated into English by our writers and then edited for publication. Simultaneously, the AWWP staff in Kabul has produced a radio broadcast centered on these oral stories and on the topic of widows’ rights under the law and Islam. Never Give Up, by Bebe Gul as told to Humaira G.
The Unequal Divide of Illiteracy, by Shako Riya as told to Fatima M.
Click the button above or here to learn more about donating to AWWP. These stories are very touching. I am impressed with how many of you participate with the education of literature. I have to say I am proud of you all knowing how good your English is. All your stories about the amount of girls killing themselves or being killed really moved me and touched my heart. I want to thank you all so much for letting us know the life you are all going through. This is going to be world wide and I want the world to know that the struggle is real and I want everyone to know the life you are all living as women in Afghanistan.